Tennis elbow is a condition where the outer part of the elbow becomes sore and tender. It is commonly associated with playing tennis and other racquet sports, though the injury is not unique to racquet sports. The condition is more formally known as lateral epicondylitis (“inflammation to the outside elbow bone”) , lateral epicondylosis, or simply lateral elbow pain. And with the pain comes weakness and decreased function of the affected arm. When it’s bad, you can forget about holding a suitcase or playing tennis or even shaking hands. 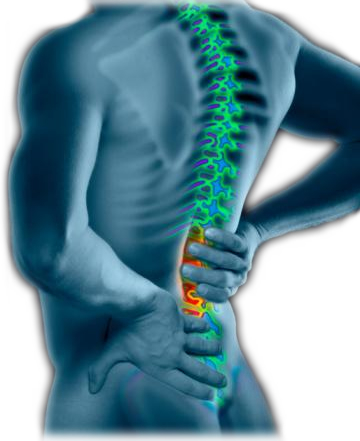 In a nutshell, it’s a real pain in the….lateral epicondyle. A counter-force brace or “tennis elbow strap” to reduce strain at the elbow epicondyle, to limit pain provocation and to protect against further damage. Occupational therapy, primarily for stretching and strengthening of the wrist extensor musculature. And sadly, up until this point, there has been little evidence to support the value of any of these interventions for prevention, treatment, or avoidance of recurrence of lateral epicondylosis. That is, up until researchers (Timothy Tyler, Stephen Nicholas, Gregory Thomas & Malachy McHugh) from the Nicholas Institute of Sports Medicine and Athletic Trauma/Pro Sports Physical Therapy created a brand spanking new wrist extensor exercise that they hoped would provide an effective and inexpensive treatment for chronic lateral epicondylitis. The new exercise is a low cost/high creativity variation on a $50,000 isokinetic exercise machine found in high end physical therapy clinics. And to test their new isolated eccentric wrist-extensor strengthening exercise, they designed this study. They separated 21 patients with tennis elbow, into two groups. Both groups received wrist-extensor muscle stretching, ultrasound, massage, heat and ice for treatment. 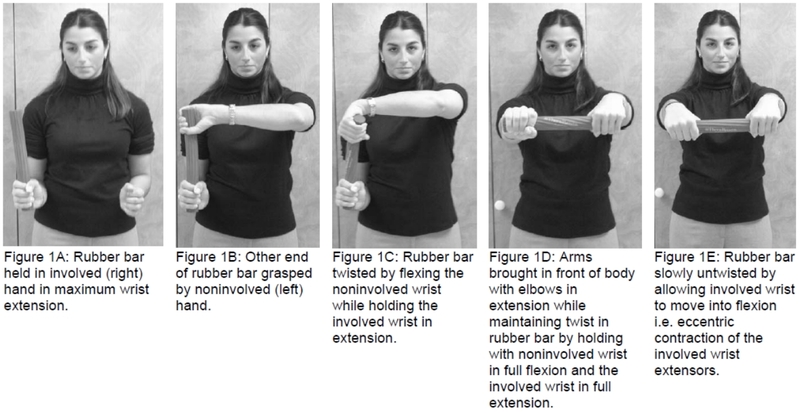 Group 1 performed the isolated eccentric wrist-extensor strengthening exercise using a rubber FlexBar from Thera-Band. Group 2 did standard isotonic strengthening exercises. The FlexBar group had significantly better results. 76% improvement compared to 12% improvement. In fact, given the disparity in results, the researchers terminated the randomization of the study and put everyone onto their new isolated eccentric strength training exercise. But first, we need to come up with a new name. Isolated eccentric strength training exercise for the treatment of Tennis Elbow isn’t going to work. We need something snappy. How about The Tyler Twist™?